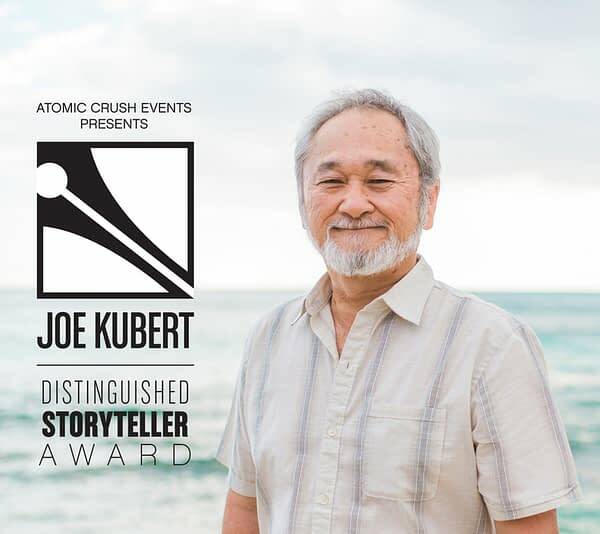 Atomic Crush Events, the company behind Comic Con Revolution whose exploits have been reported here on Bleeding Cool, have launched a new award called the Joe Kubert Distinguished Storyteller Award, named for the titular legendary comic book artist and patriarch of the Kubert dynasty, and another comics legend, Stan Sakai, is the inaugural recipient. The award was announced at a ceremony Saturday at the 2nd annual Comic Con Revolution in Ontario. The Joe Kubert Distinguished Storyteller Award, whose purpose is to recognize “outstanding comic book creators who exemplify both Joe Kubert’s artistic talent and his commitment to nurturing the comic book community,” is part of what Comic Con Revolution co-founder Mike Scigliano describes as a “three-pronged” collaboration with the Joe Kubert School of Cartoon and Graphic Art. In addition to the Joe Kubert Distinguished Storyteller Award, the Joe Kubert Future Storyteller Scholarship is being established by Atomic Crush Events for first and second year students of The Kubert School, while the Joe Kubert Jumpstart Project will help graduates begin their career. The recipient of the Joe Kubert Jumpstart Project will be named by the school at this year’s graduation and the Joe Kubert Future Storyteller Scholarship will go into effect next year, allowing students to apply for the scholarship. Supporting the next generation of talent with the Joe Kubert Future Storyteller Scholarship and the Joe Kubert Jumpstart Project is a key part of our efforts and will really make a difference for the next generation of comic book creators. To able to recognize Joe Kubert’s legacy and contributions to the comic book industry both directly with his work and indirectly with The Kubert School is exciting. Alongside industry award icons Eisner and Kurtzman, we now have the Joe Kubert Distinguished Storyteller Award brought to us by the team at Atomic Crush Events to honor my father and his legacy. Stan Sakai has brought his own ongoing legacy to our field that will be looked upon for generations to come. He is a perfect choice for the first Joe Kubert Distinguished Storyteller Award. I couldn’t think of a better and more qualified artist to be the first recipient than Stan Sakai! Dad would be humbled and proud! I had been a fan of Joe Kubert from the time I discovered Sgt. Rock and Hawkman in the ‘60’s. Enemy Ace is still a high water mark that very few have equaled and none have surpassed. I met Joe through a mutual friend, Sergio Aragones and I was privileged to speak to him many times, and each time was memorable. I admired Joe’s powerful art, his flawless compositions and his brilliant storytelling but, most of all, I admired his dedication to the craft of creating comic and his desire to pass on that love and knowledge to young creators with the Joe Kubert School of Cartoon and Graphic Art. It is a very great honor to receive this inaugural Joe Kubert Distinguished Storyteller Award at Comic Con Revolution Ontario. Sakai began his career by simply lettering comic books as he perfected his art and began working in the industry. He also wrote and illustrated The Adventures of Nilson Groundthumper and Hermy; a comic series with a medieval setting, influenced by Sergio Aragones’s Groo the Wanderer. 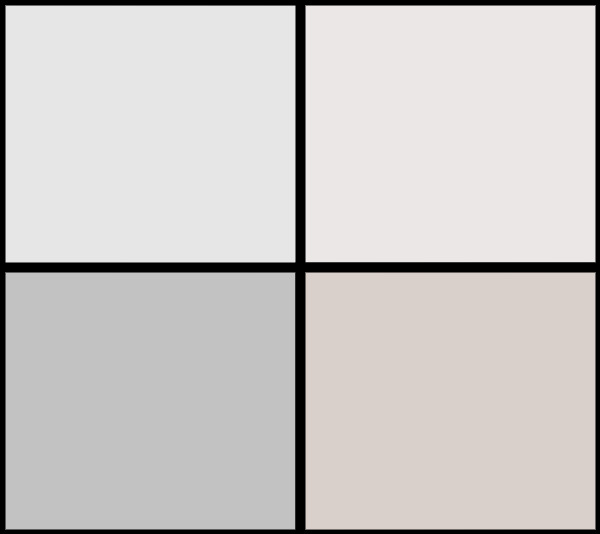 The characters first appeared in Albedo #1 in 1984, and were subsequently featured in issues of Critters, GrimJack, Amazing Heroes and Furrlough. Stan Sakai became famous with the creation of Usagi Yojimbo, the epic saga of Miyamoto Usagi, a samurai rabbit living in late-sixteenth and early-seventeenth-century Japan. Usagi Yojimbo, first published in 1984, continues to this day. In 2013, Sakai illustrated the limited comic book series 47 Ronin, an adaptation of the famed story of the 47 Ronin written by Dark Horse Comics Publisher Mike Richardson, with Lone Wolf and Cub writer Kazuo Koike as an editorial consultant. Congratulations to Stan Sakai, who deserves all of the awards.